Dance Classes, Lessons and Camps in Mississauga and Oakville. Dance Classes offered by the June Lawrence School of Dance include full season lessons, ten week, spring and summer dance classes. We teach children as young as 16 months, right through to adults. We have beginner to advanced level lessons in a variety of dance styles. We believe that dance training encourages and empowers youth and adults to develop a positive self-image. Dance classes give students the freedom to express themselves through movement and we are committed to providing high-quality Dance Classes to enhance the overall development and creativity of our students. Found the dance classes you want? 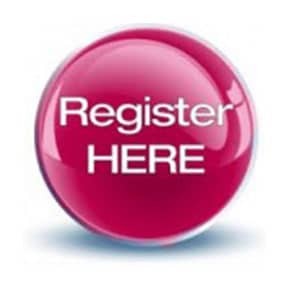 Sign in and register ~ Add classes to your cart ~ Check out!, or Call us at 905-820-7492. Full season classes run Sept-May and tuition is pro rated monthly and paid through Auto Pay Sept 1st – June 1st. Tuition includes HST. On a mobile phone view the Classes in Landscape to see all columns. Season begins the week of Saturday September 7, 2019 New student registration opens April 27, 2019. Fees for these programs are payable in full at time of registration. Fees Include HST. Fees for these programs are payable in full at time of registration. Dance Cards are purchased through the Parent Portal. Fees include HST. This summer we are offering DANCE CARDS for all summer classes. You will be able to take as many classes offered in a week or simply take one class a week. Your 5 Class DANCE CARD is valid May 26/19 through July 31/19, giving you great flexibility to try different genres and fit your busy schedule. Purchase your DANCE CARD then take a look at the class schedule. Pick the dates and classes you want to take you want to take and RESERVE your spot! (Class must be age and skill appropriate). Space is limited! DANCE CARDS are not refundable or transferable and expire at the end of the designated season. Classes marked as “Camp” are paid in full and a separate from DANCE CARDS. All classes have the same basic uniform and can be purchased at the Studio. (Hip Hop is the exception, see below).